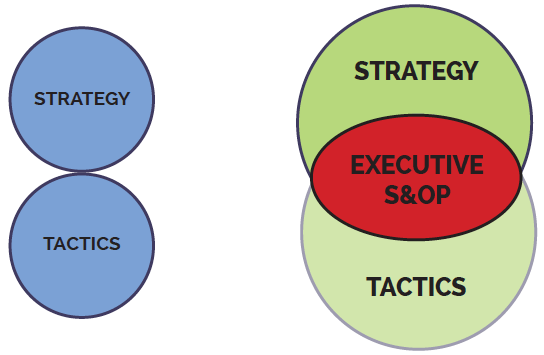 S&OP Consulting • Qualia, Inc.
S&OP provides the key linkage between high level strategy and detailed execution within the organization. 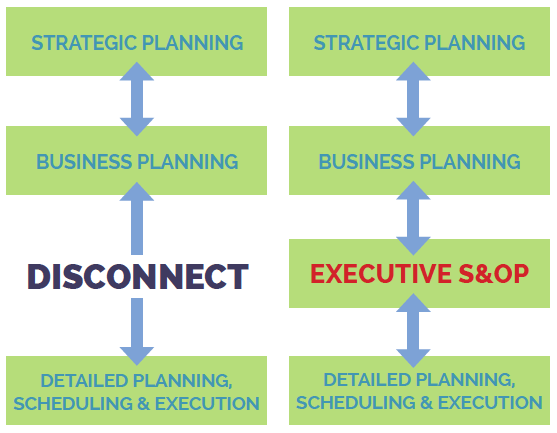 Because S&OP allows your organization to operate with a “one number” plan (i.e., the business plan ties to the financial plan, which ties to the strategic plan, which ties to the demand plan, which ties to the supply plan, which ties to the production plan, which ties to the detailed schedule on your shop floor. Because lacking a one-number system, groups are working in “silos,” optimizing “their number” and not reconciling the effect of that either upstream or downstream. There are no assurances that the plans are being met at any level and that they support the overall plan. What’s the effect of that? High assets (inventory) with “misses” to customer orders, and high manufacturing variance due to short-term, fire-fighting swings in labor and production resources to react to last minute swings in demand and supply planning. The organization is reactive vs. proactive and planful. 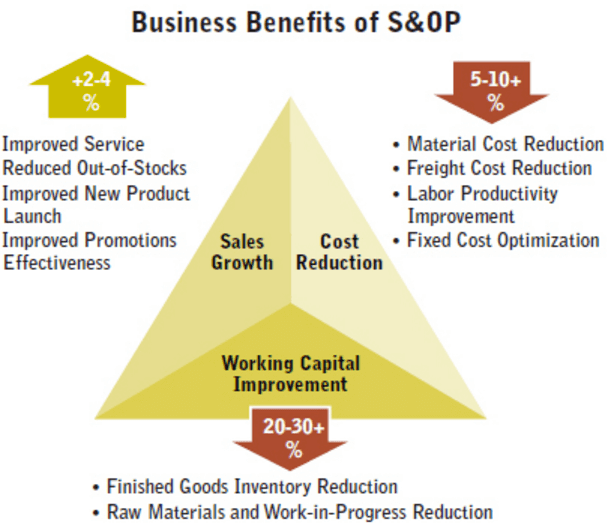 An effective S&OP process is one of the biggest contributors to overall profitability for organizations. Suzanne will work closely and carefully with your key resources in data/technical, demand and supply areas within a 3-phase approach to fully design, develop, and implement a robust S&OP process design that perfectly supports your business environment. She uses a combination approach consisting of coach, consultant, mentor, and trainer, where applicable, to effect bottom line results. If you’re looking to create a values-driven culture shift in your organization and learn more about executive coaching, leadership development, or team coaching, contact me today and discover how I can help! Copyright 2016 All Rights Reserved | By Qualia, Inc.